By remembering the fallen, we honour those who survived. 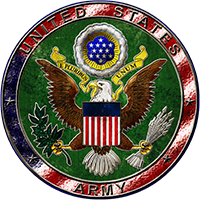 who served with the United States Army. Names highlighted in blue or magenta link through to an obituary notice. Harvey, Thomas E. Service No. 34447602, 5th Armored Division, 3rd Army, United States Army. Dec 2013. Hawk, John D. ‘Bud’ (Medal of Honor), Aged 89, E Company, 359th Infantry Regiment, 90th Infantry Division, United States Army. Nov 2013. 1 (Washington Post obituary)(Medal of Honor Citation for Sergeant John D. ‘Bud’ Hawk). If you can provide links to any published obituaries for any American Normandy Veteran, or their details, please add them to the comments box below. My uncle, Walter Donald Schroh, was a member of the 5th Ranger Bn. and landed at Normandy beach on D-Day. Wounded later and recovered in England then assigned to PoW camp in Scotland for duration. Follow up on my uncle. Rank T/5, Co. C, 5th Ranger Battalion. Born : 4/Jan/1923. Died 7/June/2003. Salem VAMC, Salem , Va. Listed obit/memorial at find-a-grave.com. Memorial # 86605486. Your grandfather’s name, and link to his obituary, has now been added to this page… R.I.P. Sorry, we have no record of a Major Leon J. Harton 183573 in our archive. In Memoriam… Private Emile Servais Corteil… and his paradog Glen.